When Ukrainians arrived in Manitoba at the turn of the 20th century, some of them settled on a tract of land ten miles south of Steinbach in Township 5, Range 6 and Township 6, Range 7. This land was mostly poor quality with rocks and bush. The Ukrainians, not afraid of hard work, managed to cultivate it, raise livestock, and feed their families. In 1904, when postal services were established in the area, the local post office was named Sarto in honour of Pope Pious X del Sarto. Previously, the area had been known unofficially as New York. Three school districts were organized in the region: Sarto School No. 1539 organized in 1910, Willow Plain School No. 1588 in 1911, and Slawna School No. 1624 in 1912. In later years, three other schools were added: Barkfield School No. 1951 in 1919, Carruthers School No. 2188 in 1928, and Tiny Creek School No. 2344 in 1952. These schools operated until 31 December 1967 when they became part of the Hanover School Division. 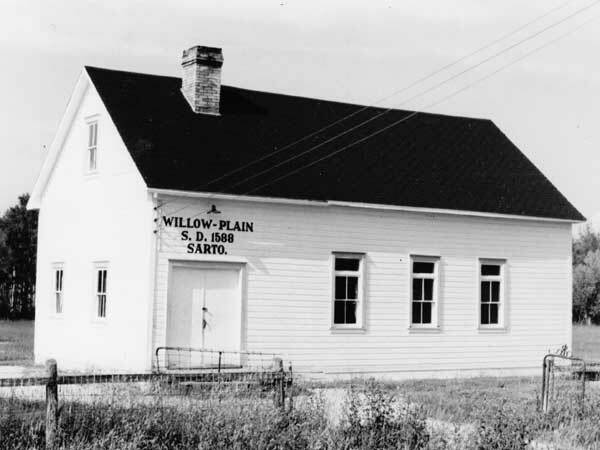 Restoration of Willow Plain School in the village of Sarto, in the Rural Municipality of Hanover, is being undertaken by the District School Heritage Association. In the 2000s, the building was part of the Manitoba Prairie Icons Program. It is a municipally designated historic site. 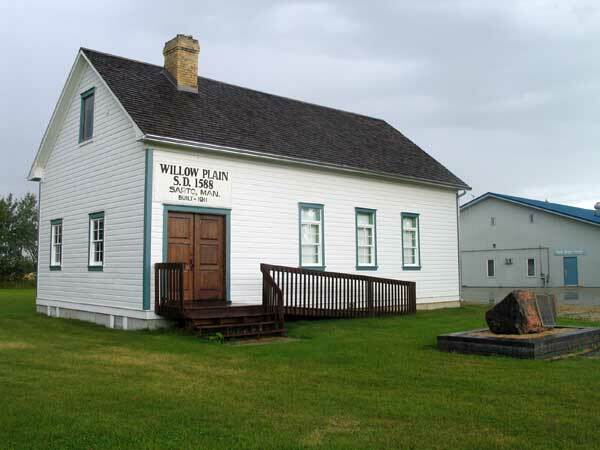 Among the teachers at Willow Plain School were Emily Bilinska (1919), Demetrius Rostocky (1919), Weston Sweet (1920), Peter Humeniuk (1920), M. Saranchuk (1920-1921), D. A. D. Wright (1921, 1922), Eugene Kozlowsky (1921-1922), Rebecca Gillespie (1922-1923), H. R. McCaw (1923), John Frank Boitson (1923-1925 & night classes), I. Goresky (1925-1926), D. M. Stephens (1926-1928), A. R. Pateson (1928-1930), Stephen Nykyforuk (1930-1946; 1957 substitute), Olga Slotiuk (1946-1949), ? (1949-1950), Thomas “Tom” Ladobruk (1950-1957), Andrew R. Sobering, (1957), Stan Cholka (1958), Walter Kohut (1958-1964), and Sam Letwinetz (1964-1968). 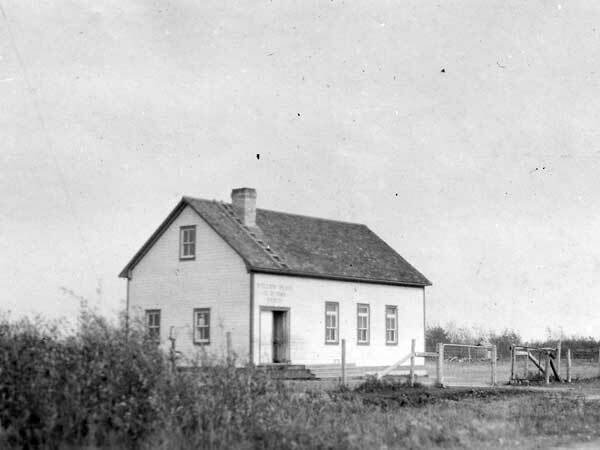 Source: Archives of Manitoba, Architectural Survey - Sarto 4. Source: Historic Resources Branch, Public School Buildings Inventory, slide 530. 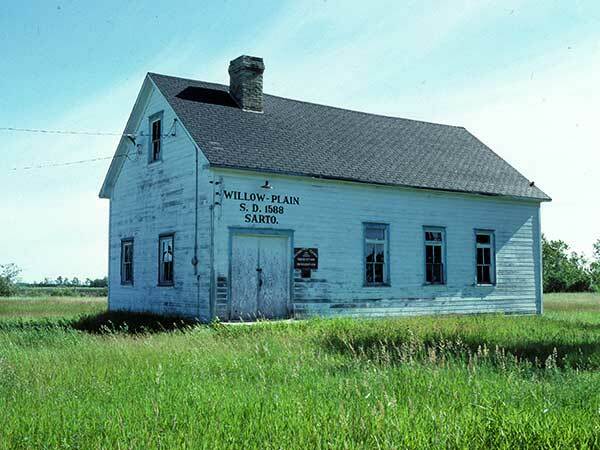 Willow Plain School, Manitoba Historic Resources Branch. Manitoba School Records Collection, Willow Plain School District No. 1588 - Daily Registers, GR2656, Archives of Manitoba. Obituary [John Frank Boitson], Winnipeg Free Press, 14 March 1968, page 33. We thank Ernest Braun, Steve Naherniak, and Nathan Kramer for providing information used here.